Iraqi forces, supported by air strikes from the international coalition fighting the IS, are engaged in a bitter struggle to dislodge the jihadists from Iraq's second-largest city. GENEVA: Over 300 civilians have been killed since last month in an offensive against the Islamic State group in western Mosul, the UN said today, adding the toll could exceed 400 if fresh killings are verified. "According to information verified by the UN Human Rights Office and the UN Assistance Mission in Iraq, at least 307 people were killed ... between 17 February and 22 March," the UN rights office said in a statement. 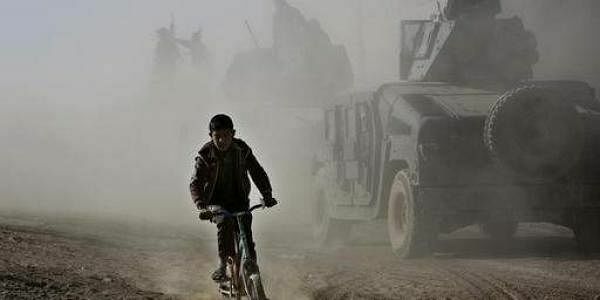 "In addition, between 23 and 26 March, reports were received that at least 95 civilians were killed in ... (four) neighbourhoods in western Mosul." Iraqi forces, supported by air strikes from the international coalition fighting the IS, are engaged in a bitter struggle to dislodge the jihadists from Iraq's second-largest city. Iraq and the US defence department are investigating reports that coalition air strikes have killed dozens if not hundreds of people in recent days. UN rights chief Zeid Ra'ad Al Hussein said he welcomed those probes and his office did not directly blame the coalition for any specific deaths, but called for "an urgent review of tactics to ensure that the impact on civilians is reduced to an absolute minimum". With IS reportedly using civilians as human shields in buildings around western Mosul, Zeid's spokesman Rupert Colville noted that it was "clearly not easy" to ensure that non-combatants were spared. "What we are saying is that in these circumstances you have got to be exceptionally careful," Colville told reporters in Geneva. More than 200,000 civilians have fled west Mosul in the past month, according to Iraqi authorities. But some 600,000 remain in IS-held sectors, which include two thirds of the city's Old Town, a warren of narrow streets, according to the UN.